It’s not uncommon to want to know who owns a house or a piece of land. You don’t necessarily have to have a connection to the house or land to request this information, but for a small fee you can access previous ownership information. So, how can you find out who owns a property or land? Our blog post examines how the process works, fees associated and any questions you may have. There are several reasons as to why you may want to find out who owns a piece of land or a home. This could be because you’re interested in purchasing the property and would like to see previous ownership information before making an offer. Another common reason may be to learn about development projects in the area. Finding out previous ownership details for local houses can provide useful information on the historical sale prices and so on, for housing developers. One of the common reasons for enquiring about a property that you have no connection with is curiousness. You may have come across an unusual house, or abandoned property, and want to discover its history. Once you have decided that you would like to find out ownership information, the next step is to complete the process of requesting these details. How do I find out the ownership of a property? The process is a simple exercise which can be completed online. HM Land Registry holds the information of more than 20 million registered lands and properties and has become available to the public since 1990. Members of the public can pay for access to title registers, title plans and Flood Risk Indicator results. To start this process, you will need to visit the HM Land Registry website. Next you must create an account in order to purchase title plans, title registers or Flood Risk Indicator results. Once an account is created, you can search for a property by entering the house number/name and the postcode into the corresponding fields. You will be able to select which information you would like to request, and you will be prompted to complete the rest of the purchase by adding in your payment details. How much does it cost to find out? £3.00 for a title register copy (details of a property). £3.00 for a title plan (plan of a property). £9.00 (excluding VAT) for a Flood Risk Indicator result (indication of the flood risk for a property). The fees must be paid online using a credit or debit card. How do I find out the owners of unregistered land? 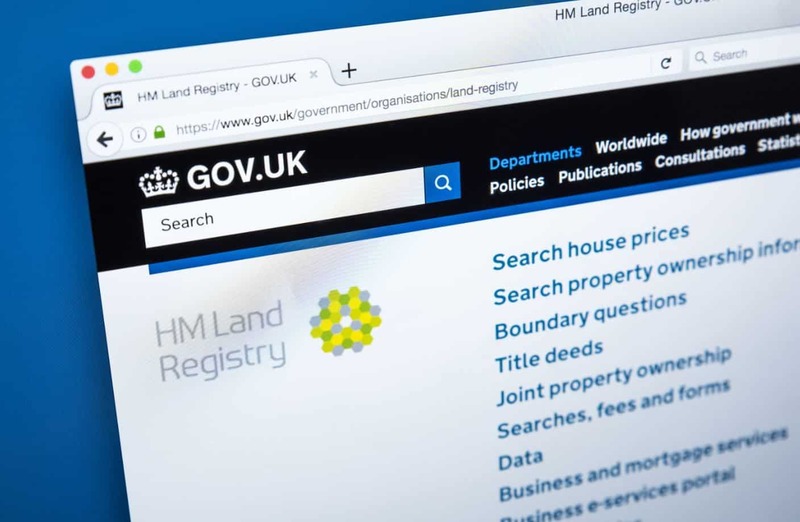 Although around 85% of land and property in England and Wales is registered with the HM Land Registry, it can be a difficult process to find the lawful owner of a property or piece of land. The first step is to double check the land or property isn’t registered with HM Land Registry. Once you have confirmed it isn’t registered, the next step is to do some detective work. It may take a while to find out the owner, but the best option is to ask around your local area and any surrounding areas. HM Land Registry recommends asking local residents, asking in nearby shops, pubs, post offices and libraries, as they may be equipped with local knowledge. If asking around doesn’t bring up any clues, you could try searching for clues from your local authority records. For example, Yorkshire and Middlesex have their own deeds registries, while the remaining counties have the County Records Offices, which may be able to provide you information regarding who owns a particular property or land. Another alternative is to check with the local authority to see if any applications have been submitted in the past. This is a useful way of finding out the registered owners of a house or piece of land. By law, applicants have to sign either a Certificate A, to say they are the owner, or Certificate B, to say they have served noticed on the owner who must be named. How can I claim to possess unclaimed land? Factual or exclusive possession of the land, such as fencing off an area of the land. An intention to possess the land. This can be shown by a combination of factual possession and other actions which excludes any other possible owners. Possession of the land without consent, which means you cannot acquire land where the owner has given you permission as this shows an acknowledgment that another person owns the land. This can be a complicated process to complete without legal guidance, so we suggest you seek legal help such as a solicitor who can help you through the process. The property is unregistered, how do I find out who the owners are? This is one of the most common problems people come across when trying to find out who the owners are for land or a property. As mentioned earlier, you may have already conducted some investigate work by asking around your local and surrounding areas. Another method is to check the County Records Office or to check if any planning applications have been made in the past. I can’t find the exact boundaries between my property and my neighbours, how can I find this information out? In England and Wales, there is often no record of exact boundaries between two properties, or who owns a hedge, tree, wall or fence between properties. However, you are able to get an idea of where the boundaries for your property are by checking its title deeds. If you’re unsure of what title deeds are, we have a useful blog post which explains them in detail. Boundary information may not be included in the property’s title deeds, however, it may be helpful to create a boundary agreement with your neighbour to determine your exact boundaries.